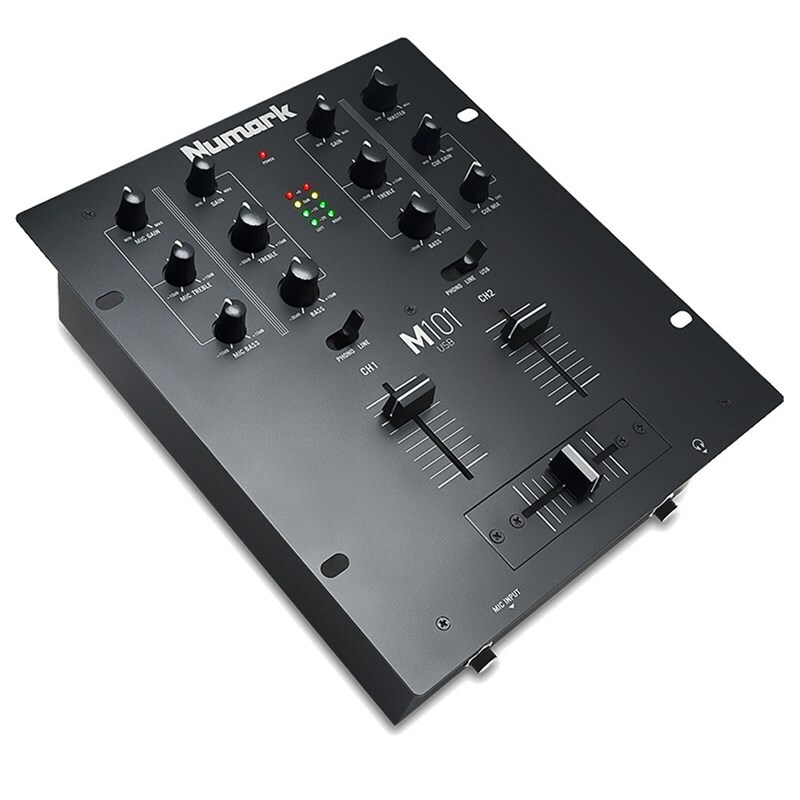 The Numark M101USB is a highly adaptable two-channel mixer for virtually any DJ. The Numark M101USB lets you get up and running quickly whether you're using a computer, turntables or CDs. M101USB is right at home at weddings, parties, clubs and everything in-between. Beginners and seasoned DJs alike who want a durable USB-equipped two-channel solution will find M101USB a perfect fit. M101USB builds on the two-channel M101 mixer with the addition of an easy-to-use USB audio interface for DJs who want the option of working with their computer as well as traditional analog I/O. Beyond simply mixing, M101USB has a built-in EQ so that you can fine tune your mix depending on the room or the tracks themselves. Two pairs of switchable Phono/Line inputs are included along with a crossfader, 1/4in mic input and stereo RCA line output for connection to an amplifier, powered speakers or another mixer. 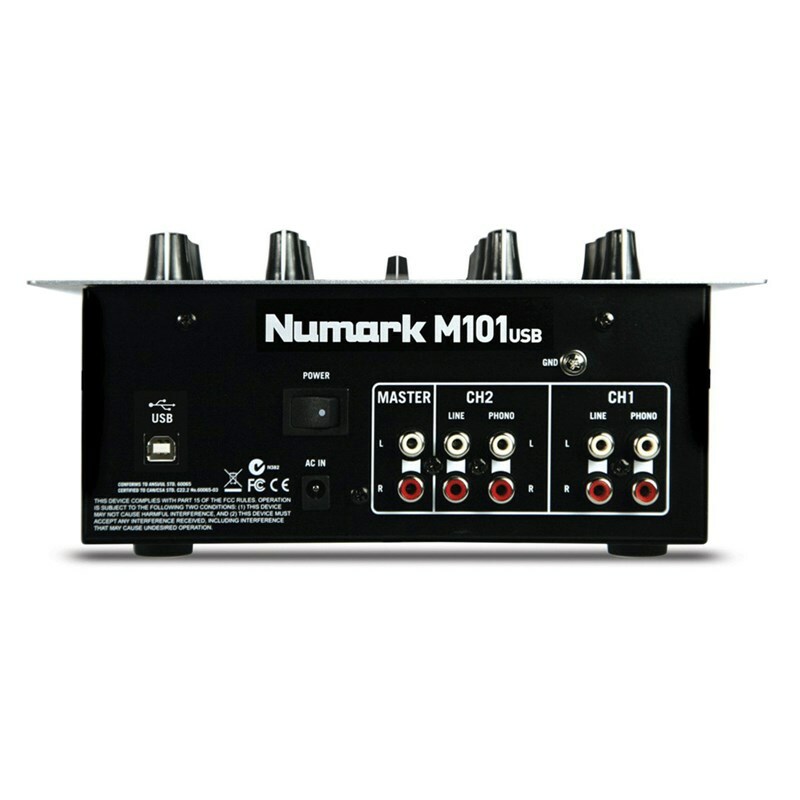 M101USB can be rack-mounted and features Numark's legendary industrial-grade durability. Connecting M101USB to your computer is a snap using a single USB cable. Once connected you can use your computer as an audio source or record your sets straight to your computer's hard drive. If you're a computer DJ on the move and need solid, dependable two-channel performance, look no further than the M101USB mixer.